Pergolas, conservatory shading - MED ISOLA PAVILION QUADRA R - SERVIS CLIMAX, a.s.
MED ISOLA PAVILION QUADRA R is an external pergola, which will protect you from the sun and rain. This shading has a waterproof cover. The whole structure is characterised by clean rectangular shapes. 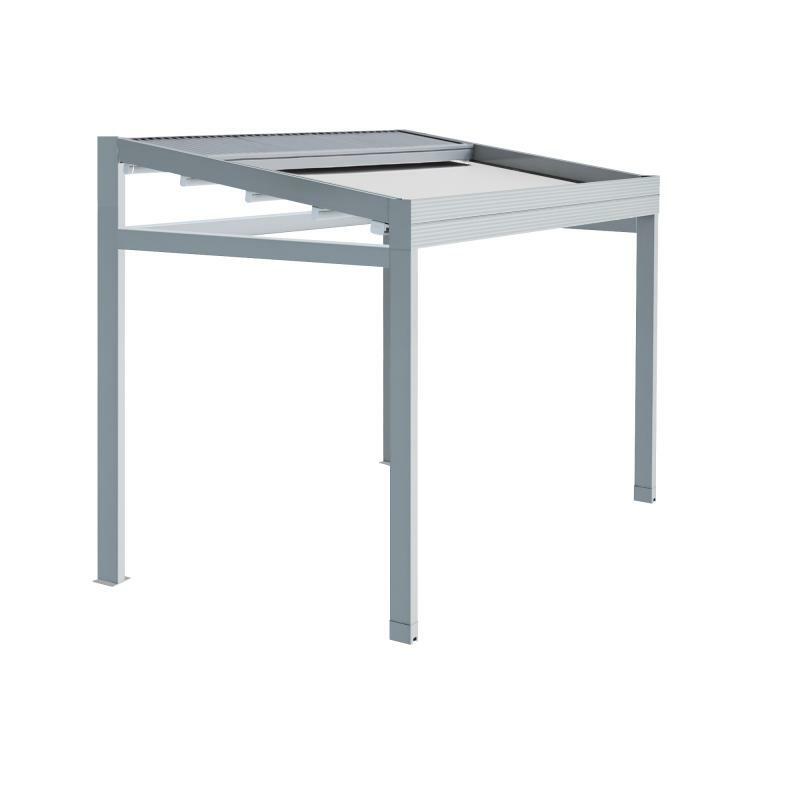 MED QUADRA R consists of a self-supporting aluminium structure, which is anchored to the floor. The product consists of aluminium guide rails, aluminium self-supporting system with integrated water drainage, aluminium profiles for fixing the fabric and the cover. The retracted fabric and the control unit are protected by a covering roof, which is included in the price.